This is the most metal-deficient galaxy ever found. Thanks to a variety of technological advancements, astronomers have been able to model many things about our universe. We know that our early universe was mostly just hydrogen and helium (the lightest elements in the cosmos), and that the heavier elements (the metals) come only as a result of the death of supermassive stars. Now, a faint galaxy that wanders through the cosmos 30 million light-years away is helping scientists learn more about the birth of the universe, and it’s precisely because of the aforementioned metals…or rather, the lack thereof. Astronomers at Indiana University have found a galaxy that they describe as “pristine”—it has the lowest level of metals, or heavy chemical elements, ever observed. The galaxy is called AGC 198691. 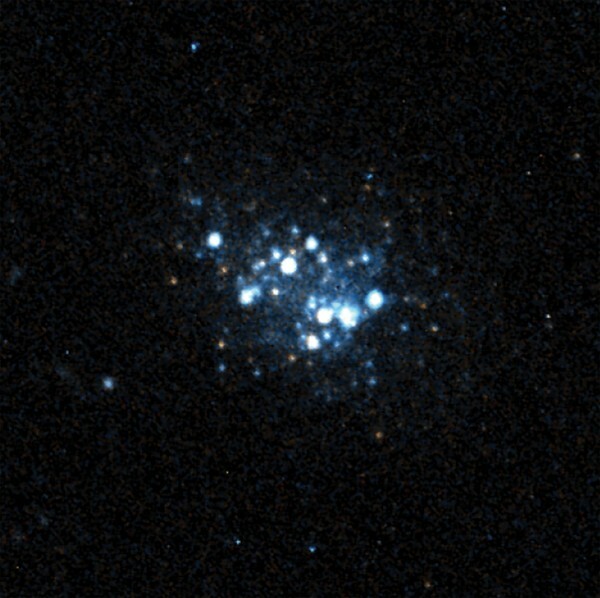 It lives in the direction of the constellation Leo Minor, and being only 1,000 light-years in diameter, it’s classified as a dwarf galaxy. Ultimately, this is why the researchers have taken to calling it Leoncino, or little lion. The researchers claim that the ratio of the atoms in these metal-poor galaxies could provide a way for direct tests to the current Big Bang model. Ultimately, the lack of metals is caused by the low amount of stellar activity that has taken place within them. Notably, Leoncino only contains several million stars, while our own Milky Way is estimated to have between 200 to 400 billion stars. As such, Leoncino is an excellent subject for observation. The study has been published in the Astrophysical Journal.